It is always fun to attend the graduation ceremonies in Gary, Indiana. Last night, was no exception! 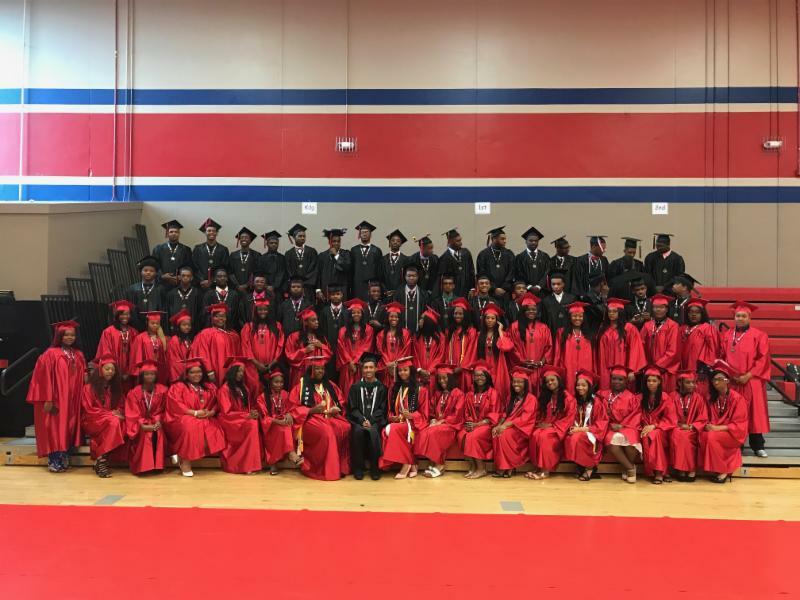 We witnessed the graduation of the largest class yet for 21st Century Charter School in Gary, Indiana with 66 students receiving their diplomas. Three students have already earned their Associate Degrees, too. Still others have earned degrees and certifications in welding and nursing. And, while 100% were accepted to college, two of our students are going straight to work as plumbers and electricians–they will be just fine. It was fun to see the families support their students. Even though we celebrated only 66 students, our gym was packed. Even more telling about our school is the return of former staff and students who wanted to be with us to share in the joy of our families. Several teachers came in from North Carolina, Illinois while others posted on FaceBook their support and their memories of our students. Pretty neat! Our principal, Mr. Cherry, is truly a man who is loved by the families at our school. He knows everyone in the building including their aunts, uncles, grandchildren and more. And I mean, he knows them. Not just their names, but what they were doing five and ten years ago. During his remarks, he had students sit down if they had attended the school for one year, two years, and so on. We had two students who kept standing until he got to 12 years. They enrolled as first graders with us. After the ceremony, a Mom came up to me and said her son will be standing for 13 years because he enrolled with us when he was a kindergartner and he plans to graduate from our high school. Very cool! When I was walking out for the night, a young lady came up to me and gave me a hug. She was a 2015 graduate of ours and she wanted to tell me she just completed her Bachelor degree at Purdue. She is one of our Associate Degree graduates and a shining example of the success of this model. She completed her Bachelor degree within three years of graduating from high school. On a national basis, statistics show only 10% of this demographic completes their degree at all and they take more than six years to do it. Our students are blowing that statistic out of the water! Bravo Devan! See her picture below. GEO has been in Gary, Indiana for 13 years and we have loved every minute! We love our Gary family. Lets keep changing and improving the world together! 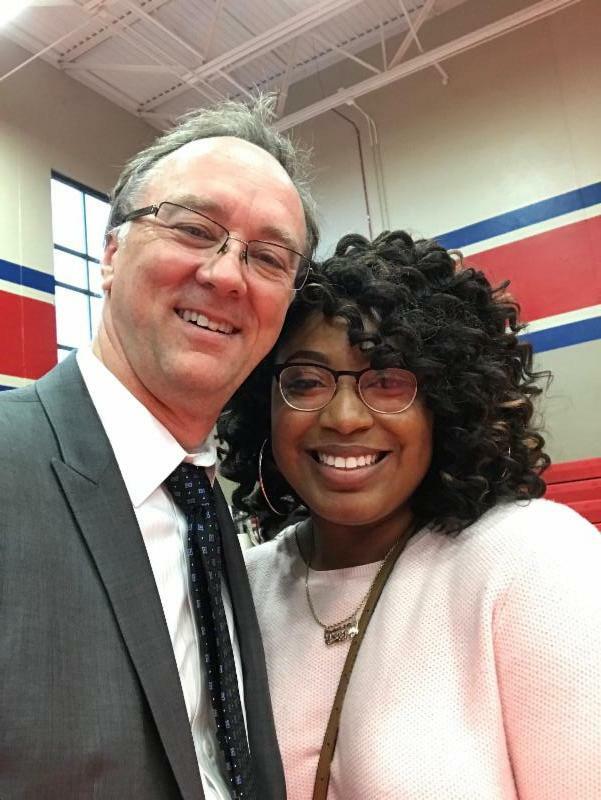 Devan Thomas is a 2015 graduate of 21st Century Charter School and she recently completed her Bachelor Degree from Purdue. Saved money and time and is on her way! The local press was out in force to interview our students last night during the graduation ceremony. 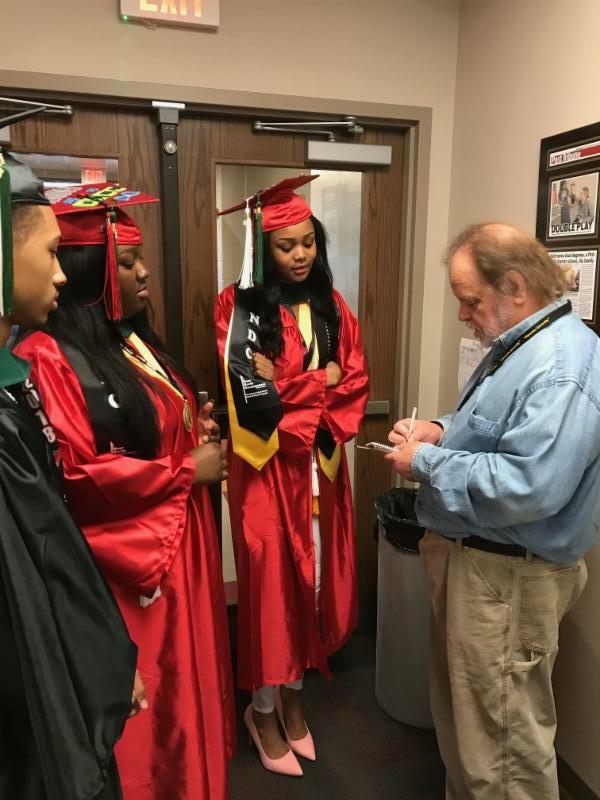 These three students earned their Associate Degree–two full years of college credits–while attending our high school. All three are headed to four year universities–Indiana University–Bloomington and University of Evansville–to complete their Bachelor degrees.